Tim Sainty, Membership Director at the Chartered Institute of Plumbing and Heating Engineering (CIPHE), shares the ways that the Institute is helping its members to get professional support, promote themselves and their business and advance their careers. The plumbing and heating industry can be a lonely place for sole traders or small businesses, especially when so much time is spent on the road in-between jobs or working alone. While this type of working often can’t be helped, what is important is that installers have a support network and places to turn to for advice when needed. At the CIPHE, we often get calls for assistance – ranging from technical queries through to legal or careers support, in addition to how to set up a pension and general business advice. The CIPHE only offers Member (MCIPHE) status to tradespeople who hold NVQ Level 3 or City & Guilds Advanced Craft Certificate, with appropriate practical experience. MCIPHE is also granted to those who have been assessed to work to that standard in the plumbing and heating industry. There are other membership categories, depending on the qualifications and the amount of experience held, but what remains the same across all levels is that by becoming a member you are joining a recognised group of educated and trained professionals. Each and every individual’s experience is checked before they are accepted, so that the right entry-point to membership can be given with steps put in place to help members achieve what they want from their professional careers. The CIPHE is a licensed member of the Engineering Council, which means the Institute is authorised to recognise and award the very highest level of engineering status to our membership. This means that members who wish to reach Chartered Engineer (CEng) status can be supported by the CIPHE to help reach this goal in exactly the same way as members endeavouring to achieve Engineering Technician (EngTech) and Incorporated Engineer (IEng) status. The CIPHE recognises that running a business requires more than just the skills and qualifications to do the job. A business needs to factor in a variety of legal obligations, financial responsibilities and more to boot. The CIPHE has for a long time now been prioritising the creation of business support resources for time-pressed members who need reliable and trustworthy advice. 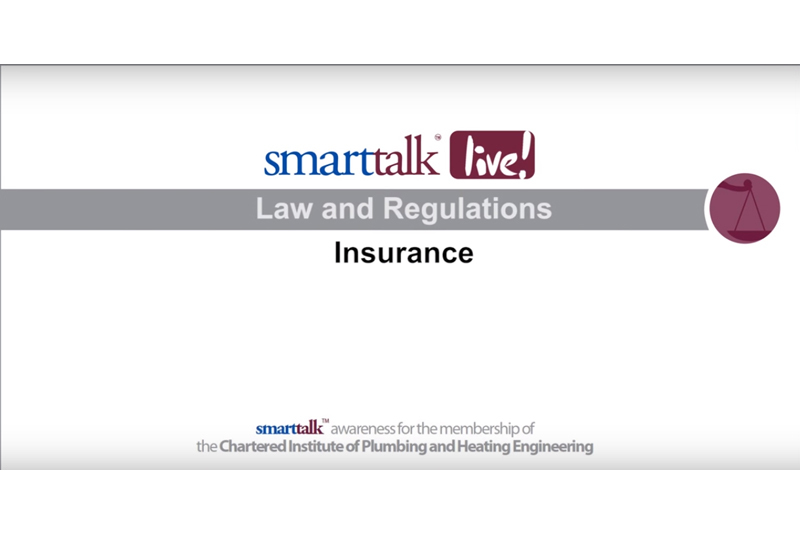 Since 2016, a number of Smarttalk videos covering legal, finance and marketing tips have been developed to help our members feel confident when it comes to running their own businesses. Members also benefit from having access to legal professionals who can advise on issues from changes in Employment Law, understanding the Consumer Rights Act, to Product Liability and the risks associated with using counterfeit parts. Navigating pensions can seem overwhelming but preparing for your own, or your employees’, retirement is an essential part of modern-day working life and must be taken seriously. Failure to do so can result in fines or prosecution for employers, and could mean an uncertain financial future for individuals if enough money hasn’t been saved for retirement. If you are self-employed, you don’t have to set-up a personal pension. It is your choice, but remember that the state pension alone is unlikely to cover all of your expected lifestyle expenses. By choosing to start saving for your retirement now, you are safeguarding your financial future for when you are no longer in work. Not only that, you are giving yourself the option to decide to stop working sooner. For CIPHE members, pensions advice is offered as part of your membership. To do this, the Institute has teamed up with Smart Pension, the leading commercial provider in the UK, who offer a free, fast, efficient and easy to use auto enrolment solution that has been purpose built and specifically designed for small businesses. Innovation and continually improving the resources and services for our members is what keeps the Institute relevant to the current needs of those in the plumbing and heating industry. The CIPHE and its Industrial Associates (IAs) have funded a new series of techtalkVR and techtalkCPD resources – the first CIPHE educational learning experience of its kind using augmented and virtual reality technology. The purpose behind this is to give the plumbing and heating engineer real life experiences and insight from the comfort of their van and home, limiting the need to rely solely on attending costly classroom-based training. They also serve as the perfect instant access resource if support is required during a specific job. CIPHE membership is on the rise, and part of this is down to the growth of the added value, support and knowledge that the Institute can offer. For those who are proud to be a professional and want to prove it, join us today.